What you've been waiting for! 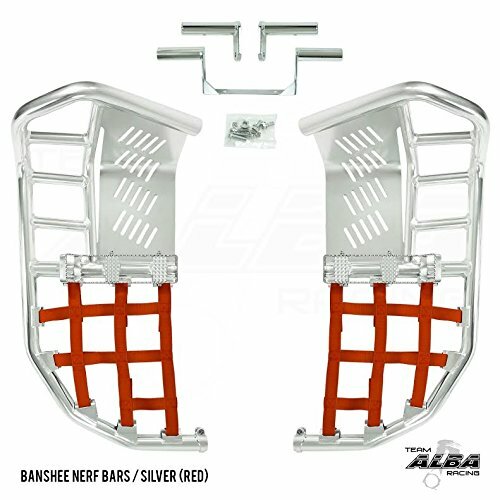 This is an Alba Racing stainless steel adjustable and replaceable Propeg nerf bar set for the Yamaha Banshee YFZ350 for years 1987-2006). This kit comes with left and right nerfs and everything you need for installation, including full instructions. Get that extra leverage you need for cornering. Your choice of net colors. Available in black and silver frames, see other listings. 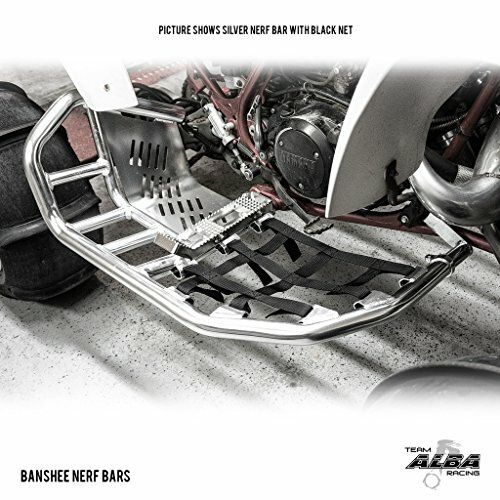 This Propeg Nerf Bar Fits Yamaha Banshee YFZ 350 for the years 1987-2006. Other fitments available with other listings. Stainless steel adjustable and replaceable footpegs with extra wide width for more comfort and control. Kick up on the end of footpeg helps keep you on the peg and gives you extra leverage for cornering.